The following is a review of Z-39, a ship kindly provided to me by Wargaming. This is the release version of the vessel and these stats are current as of May 13th, 2018. Quick Summary: An under-armed tier VIII destroyer crammed in at tier VII but it kept it's tier VIII bonuses. Patch & Date Written: 0.7.4 to 0.7.4.1, May 4th to 13th, 2018. Massive hit point pool of 19,600hp. Large caliber HE shell with excellent fire chance per hit and good penetration potential. Good AP shell penetration for a destroyer. Access to Hydoracoustic Search like all German Destroyers. With upgrades, she's one of the stealthiest destroyers at tier VII. Horrible DPM output, especially with HE shells against destroyers. Her torpedoes don't hit very hard. AA DPS is short ranged and restricted to fragile small & medium caliber AA guns. Feels very clumsy with a large turning circle and modest top speed. Enormous aerial detection range of over 4km. Stuck with a German Smoke Generator with their reduced smoke duration times. Z-39 is a German destroyer with training wheels. She has excellent concealment and an enormous hit point pool -- two traits that will make her much more forgiving in the hands of inexperienced commanders. The only hiccough here is her clumsy handling, but her Hydroacoustic Search should ease dealing with any manoeuvrability issues in regards to torpedoes. 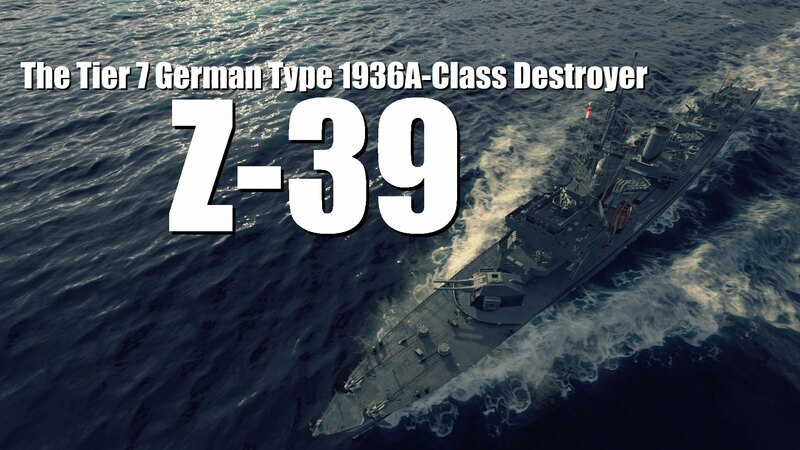 For experts, Z-39 is a German destroyer but with surprisingly good (!) concealment for her tier. This opens up all sorts of game play opportunities not normally available to German DDs which she can use and abuse to great effect. Z-39 has the concealment and the durability at her tier which is all kinds of crazy. Her firepower is is on the low side of saved only by the large caliber of her guns which opens up gunnery possibilities not normally available to destroyers. Otherwise, it would be . Her anti aircraft defense is unremarkable. Her handling is about as as you would expect for a large, German destroyer and compares poorly to her contemporaries. What we have with Z-39 is a destroyer that has the ability to control engagements with its superior concealment and detection tools and her ability to endure punishment far greater than normally possible for a tier VII destroyer. This helps make up for her mediocre firepower. Note that she's not fast or agile enough to unilaterally dictate engagement distances. There are two consumables worth noting on Z-39. Despite being a tier VII destroyer, Z-39 has tier VIII versions of these consumables. German Smoke Generators produce individual clouds that do not last as long as other nations. For tier VII German destroyers each cloud lasts 65s seconds. On Z-39, her smoke lasts 69 seconds. This is still less than the standard at tier VII which is 85 seconds for most destroyers and 121 seconds for American DDs. Once again, Z-39's Hydroacoustic Search has improved duration and range over her tier VII counterpart. Her hydro picks up torpedoes from 3.12km (up from 2.97km) and ships at 4.44km (up from 4.2km). The big surprise for Z-39 is that she has access to a 5th upgrade slot at tier VII. In your first slot take Magazine Modification 1. You're a destroyer with a lot of hit points. Don't let a sudden detonation undermine that. 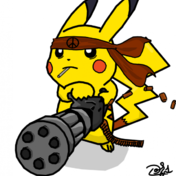 Alternatively, if you like to live dangerously, you can take Main Armaments Modification 1. If you have access to it, the special upgrade Hydracoustic Search Modification 1 is optimal for your second slot. Without it, take Propulsion Modification 1. Speed is life for a destroyer. Aiming System Modification 1 is best for your third slot. However, the special upgrade Smoke Generator Modification 1 is also a good choice if available. Take Propulsion Modification 2 in your fourth slot for more get-up-and-go when parked in your smoke. And finally, round things off with Concealment Modification 1. Main Battery: Four 150mm rifles in 3 turrets with a twin-gun turret on the bow and X-Y turrets in single, superfiring mounts. Torpedo Armament: Eight torpedoes in 2x4 launchers mounted down the center line. Z-39's gunnery is weird. She uses enormous 150mm rifles -- the largest weapons currently found on destroyers. Her guns are also laid out in a strange arrangement with a 2-1-1, A-X-Y superfiring layout. None of this makes her gunnery feel novel, however, and it's often a struggle to make Z-39's artillery perform as needed. The biggest obstacle with getting Z-39 to perform is overcoming the challenges in getting her damage numbers up. 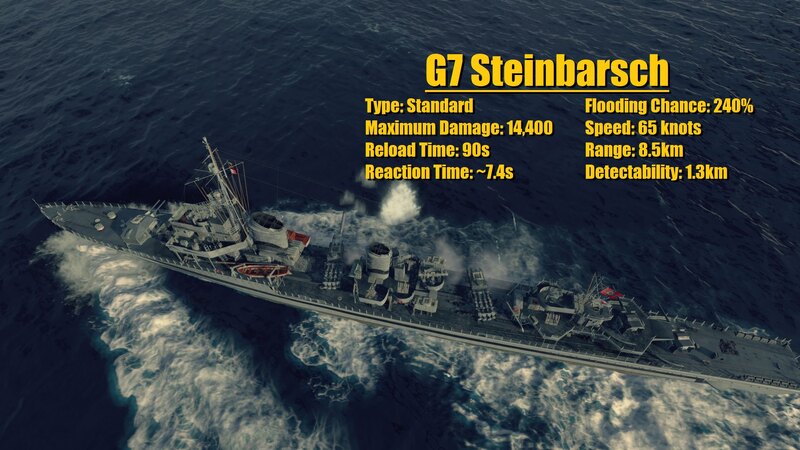 While she does boast the largest guns among destroyers at her tier, they are slow firing with a 7.5 second reload time. Unlike Blyskawica which also shares a long, 6.5 second reload, she doesn't have a lot gun barrels with a mere four. 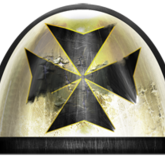 These also have pretty sluggish gun handling for a destroyer and their large size precludes them from maximizing the effects of Expert Marksman. 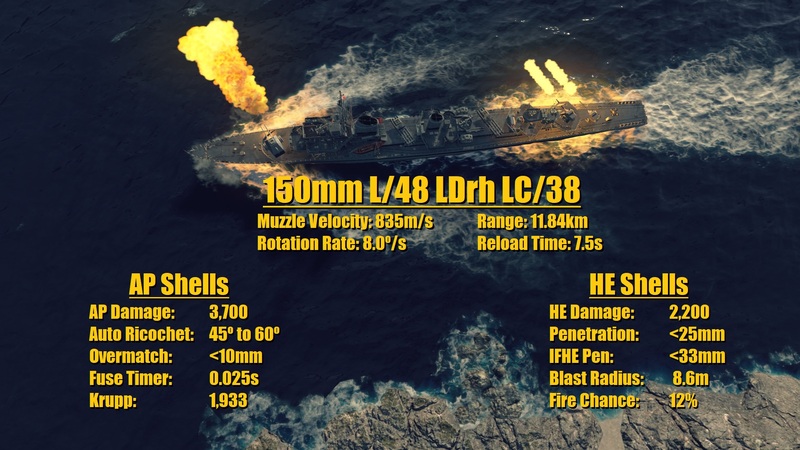 Combine this with impotent performance of her HE damage for a large-caliber gun and she cannot keep pace with the throughput of the other destroyers. She is the worst for potential HE DPM and third from the bottom for AP DPM. Embarrassingly, even Shitarsuyu puts out more HE shell damage than Z-39. This is made worse in that Z-39's guns cannot have their rate of fire upgraded with Basic Fire Training which only widens the gap further. Her fire setting ability is similarly balls, even though she has a great fire chance per shell. She just doesn't throw enough munitions downfield fast enough to make her particularly good at taxing Damage Control Parties to make multiple fires stick. If it weren't for her beefy hit point pool, taking this ship into a fight with enemy destroyers would be a fool's errand. Z-39's firepower woes can't be blamed on her gun angles, at least. They're not great, but they're not terrible. Z-39's guns aren't though. While they lack in a knife fight, Z-39's guns are not missing out in penetration potential. Her AP shells boast up to 100mm of penetration up to ranges just shy of 10km. Most other destroyers can scarcely manage that at 5km to 7km. The comparison gets better with HE shells. While German destroyers do not enjoy the 1/4 HE pen found on German battleships and cruisers, Z-39 still fares better than her contemporaries. Their large-caliber can be upgraded with the Inertial Fuse for HE Shells commander skill to damage the extremities of any ship she encounters. Most destroyers are unable to hurt the bow, deck and stern of tier VIII+ battleships even with this skill. Z-39 has a larger range of targets she can directly damage with the right upgrade choice. Z-39 may not output damage as quickly as other lolibotes, she's better equipped to stack damage reliably against a larger number of targets. Z-39's torpedoes are as unexciting as her guns. However, given the spotty torpedo performance of the other destroyers at tier VII, having some mediocre workhorse torpedoes isn't a bad thing. Indeed, Z-39's fish have a lot going for them. They have good range unlike the painfully short reach of Minsk or one of the two armaments for Sims. She uses quadruple launchers instead of the triples like Blyskawica. She has two launchers instead of the single launcher found on Cossack. They're fast too, unlike the sluggish wallow of those found on Mahan, and the second armament for Sims. The only area where Z-39's torpedoes are truly found wanting is their hitting power. At 14,400 damage per, they're simply uninspiring. And that well describes her torpedoes. A much more meaty 16k damage per hit would really make these weapons stand out. As it is, they're functional but they're not show stoppers. They're sufficient unto the task and nothing more. Her guns are pretty terrible for taking on enemy destroyers but alright for padding a bit of damage on anything else. This said, don't be shy of slapping lolibotes around with them. What it would have needed to be : Z-39 only escaped a evaluation because Sims & Minsk exist and I'm still not entirely convinced that Z-39's firepower bests either one of them. Does the ship have any weird durability related consumables like Repair Party? Does the ship have any weird superfluous hull armour that any of the other destroyers lack? How many hit points does it have in comparison to the other destroyers at her tier? The answers are no, no and lots more than those puny, wimpy boats. Z-39 is a thunderchunker that, with Survivability Expert, can boast nearly 10,000 more hit points than some of its tier VII competitors (to say nothing of tier V and VI DDs). This more than makes up for the DPM deficit on her main battery guns and allows her to easily bully almost any other same-tier destroyer. On top of this, some of those tier VIII bonuses carried on here. Datamining revealed that Z-39 kept her improved fire resistance coefficient. 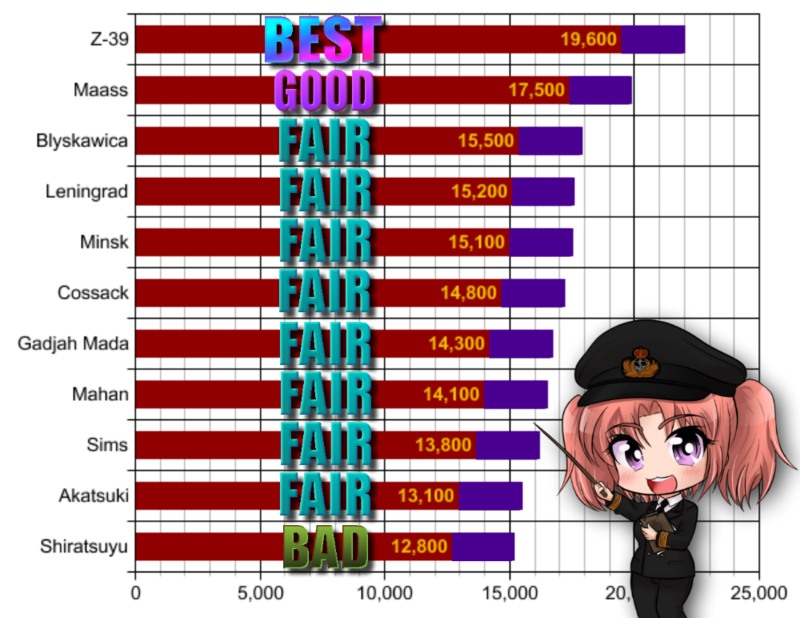 This is really a minor bonus all told, but it does mean that she comes baked in with 6% improved fire resistance over other tier VII destroyer. It is a good day to be giant man. Hit Point totals of tier VII destroyers, including the WiP HMS Cossack. Note the bar in purple represents the 2,450hp gained through using the commander skill, Survivability Expert. What would have to happen to DOWNGRADE to : Something would have to be released with weird (better) hull armour plating, a Repair Party or more hit points than Z-39. While Z-39's agility is her worst quality, I rate it as less of a weakness than her temperamental main battery firepower. Still, it would be a mistake to underestimate the impacts here. Z-39 isn't just slow for a tier VII destroyer, she's slow for a destroyer within her Matchmaking spread. Her Engine Boost consumable should be reserved for getting her out of the trouble. She'll struggle to dictate engagement distances otherwise. Her turning radius is appalling for a destroyer. Combined with her modest top speed, this makes her really sluggish in a turn. Just to make things worse, her gun traverse is only 1.0º/s faster than her maximum rotation speed. This makes her gun handling feel even worse and you'll be reaching for your rudder to help with bringing your guns on target. Expert Marksman can only correct this by 0.7º/s owing to the larger caliber of Z-39's guns. Z-39 handles like a bus. It's a good thing she has Hydroacoustic Search to give her more time to prep for torpedo beats. Without it, she'd be a blind bus. What it would have needed to be : At a minimum, a 38 knot top speed to at least bring her up over the average for a tier VII destroyer. First, Z-39 has an enormous aerial detection range of 4.38km. This outstrips the range of her AA gunners by 700m. While this does mean that you can keep Z-39's AA defenses active without worrying about giving away her position, it does mean she gets spotted by aircraft without any ability to retaliate if her range isn't upgraded with AA Guns Modification 2 or Advanced Fire Training. Secondly, Z-39's entire AA defense is built around small and medium caliber AA guns which are excessively fragile, particularly when she takes HE damage. Only a few HE strikes are needed to end her AA defense entirely. Overall, it's not worth specializing into AA firepower with Z-39. At best, you can hope to shoot down a couple of enterprising aircraft in the opening stages of the match, particularly if they're lower tiered planes. But it would be a mistake to expect anything more from her defenses. What it would have needed to be : Dual purpose guns are a must to form a backbone of longer range AA defense. The only thing keeping Z-39 from dominating Vision Control at tier VII is the looming threat of HMS Cossack. What makes Z-39 so powerful is the combination of her enormous hit point pool and concealment. Thanks to access to her 5th upgrade slot where she can install Concealment Modification 1, Z-39 is one of the stealthiest tier VII destroyers in the game. The only destroyers that are more stealthy are Shirtatsuyu with a 5.8km surface detection range and the still-under-development HMS Cossack with a 5.7km surface detection range when each ship is fully upgraded. This 400m gap means less when you account for Z-39's Hydroacoustic Search consumable. This allows her to all but dominate vision where smoke and torpedoes are concerned. She again only comes up second with HMS Cossack's own hydro which, while not as long ranged, is long-lasting. It's a close competition between these two premiums for dominance in vision control at tier VII and Z-39 will hold primacy at least until HMS Cossack's release. 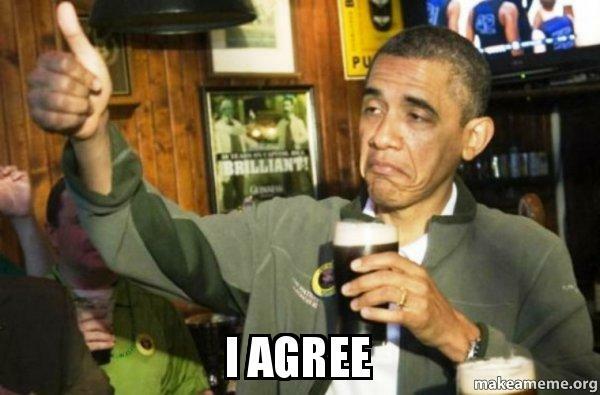 A word of caution for all this praise, however. As nice as Z-39's concealment is when she's top tier, it falls apart when she's not. Every single tier VIII and IX destroyer has better surface detection than Z-39 with the exception of the German and Soviet tuba-players and lolibotes. Unlike the lower tiered boats that can out spot you, just about all of these will fight back and embarrass you. So this advantage goes right out the window. What would have to happen to DOWNGRADE to : Cossack (and possibly Haida's) release. Optional Skills in green & purple. There's a bit of flexibility when it comes to choosing Z-39's skills. However, you want to begin with a solid foundation. 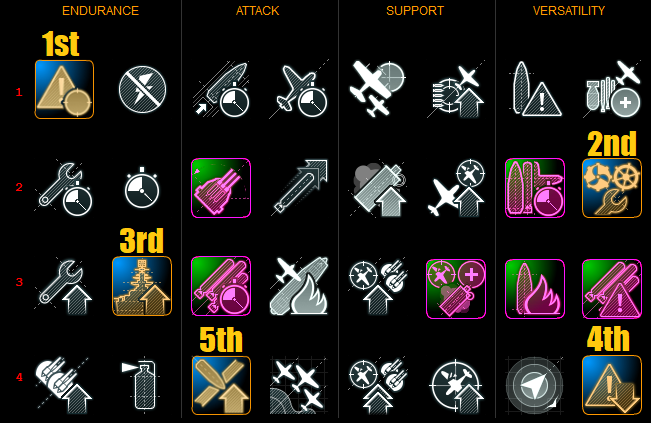 Feel free to try out some builds of your own with ShipComrade's Skill Calculator. You're still a destroyer, so Last Stand is of paramount importance. Take Survivability Expert at tier 3 to bump up your hit points. And finally take Concealment Expert at tier 4. I highly recommend taking Inertial Fuse for HE Shells as your fifth skill -- this opens up a large range of gunnery targets for Z-39, including all cruisers and battleships at tier VIII+. You can opt out of doing this if you wish, but her damage potential will suffer. For optional skills, I recommend Adrenaline Rush and Superintendent to round out your last two skill choices, but you have options here depending on what role you envision your destroyer using. If you wish to try to tax the Damage Control Party of enemy ships, then dropping IFHE for Demolition Expert and Torpedo Armament Expertise is a viable option. I would round this out with Superintendent for added smoke. Vigilance is a more passive skill choice but your battleships will thank you for the increased torpedo detection range you will provide, especially when your Hydroacoustic Search is active. Expert Marksman is, overall, a weak choice but it will increase the comfort of handling Z-39 while under manoeuvres. For such a wet-noodle when it comes to firepower, Z-39 doesn't struggle to stack damage. There's something to be said about being the toughest little tyke in the kiddy pool. The bonuses she kept on from her time as a tier VIII test ship make her feel just that little bit more special. As far as gimmicks go, this is more refreshing than simply seeing a Repair Party or Torpedo Reload Booster used to correct an under-performing ship. Stealth and size both? Just who the Hell does she think she is? HMS Conqueror? I was genuinely shocked at how well this destroyer plays. It really surprised me. I took one look at her four 150mm guns with their odd placement and slow traverse and dismissed her something I wouldn't enjoy playing. It seemed like a distraction until something better (namely T-61) came. Suffice to say, Z-39 changed my opinion. and I'm glad she has. Let me add a few sobering words -- Z-39 is amazing when top-tier but her luster fades when facing higher tiered ships. It's common for a vessel to lose a bit of flair when Matchmaker slaps you around. However, Z-39's advantages -- namely concealment and her hit point total, don't amount too much when facing higher tiered ships. The stealth that makes her remarkable at tier VII is on the poor side for a tier VIII ship. Her beefy hit point total more than makes up for her ... well, let me be kind in saying "limp" main battery performance amounts to little when dueling with ships with enough hit points to challenge her. There's a reason, after all, that Wargaming elected to drop her from tier VIII to tier VII. Z-39 brings up the question of power creep. She's arguably one of (if not the) best destroyers at her tier. When she can guarantee to receive protected Matchmaking, such as in Ranked Battles, it's hard to argue against her merits. On the one hand, this is welcome for all the wrong reasons: the German destroyer tech tree has been utterly lacking in any form of premium for training purposes. I'm glad to see this gap filled. On the other hand, I am looking at Blyskawica with an air of pity as she becomes just that much less special. 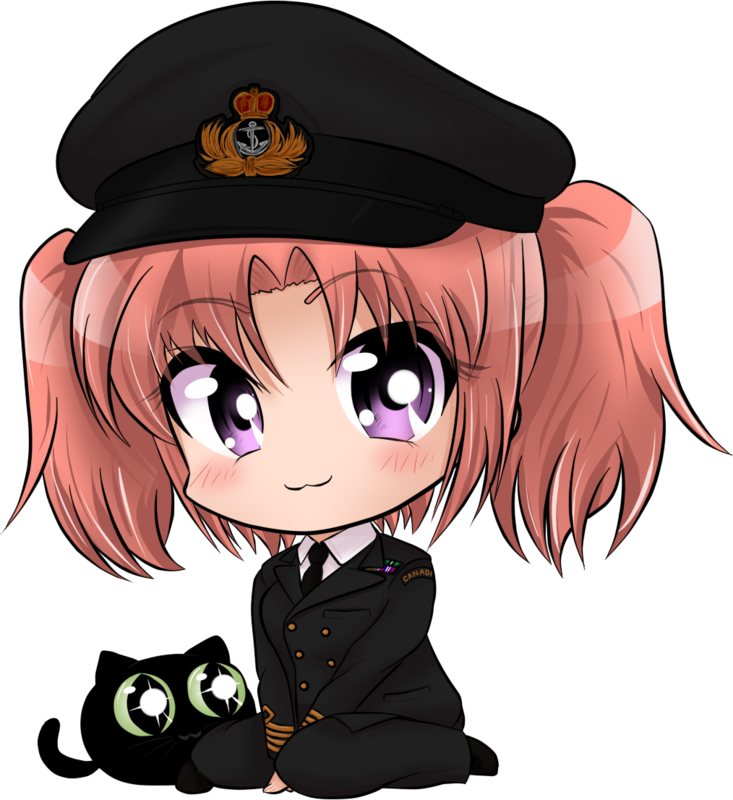 Z-39 herself is going to be power creeped with HMS Cossack (and possibly HMCS Haida) coming on the horizon which threaten to undermine her vision control dominance. This begs the question on how stable the meta is at tier VII for destroyers. Tier VII has long been red-headed step child tier for lolibotes. Like most vessels, destroyers tend to get larger as you climb in tiers and their surface detection balloons as they go. At tier VIII this gets mitigated by the Concealment System Modification 1 upgrade. With concealment being such an integral aspect of so many destroyers, their tier VII brethren suffer greatly when up-tiered. To this end, I loathe the 5th module upgrade slot for creating this artificial performance cliff. It doesn't just affect destroyers but cruisers and (to a lesser degree) battleships. So while Z-39 is a good tier VII destroyer, destroyers at tier VII are generally not good unless top-tier. This must moderate my opinion somewhat and I caution anyone new to the game that is as yet unaware of this stigma. I think the most relevant question would be if Z-39 is worth it or should a player wait for T-61, the other German premium destroyer. T-61 remains a Work in Progress -- subject to change if Wargaming so wishes while Z-39 is finalized in her current form. The two destroyers are very different beasts. As I write this, T-61 is the best destroyer at tier VI and not by a small margin. She's a torpedo destroyer primarily, but her guns aren't terrible. What makes her so memorable is her lack of overall weaknesses and the fast reload on her heavy torpedo armament. T-61 currently up-tiers better than Z-39, only feeling uncomfortable when she faces tier VIII opponents. Naturally, play style preferences may dictate one ship being preferable over the other, but in terms of relative power level, Z-39 is comparable to T-61, tier for tier. It's all a matter of personal choice. Yes. Destroyers are a bit of an odd duck in PVE modes. Alpha strike and concealment are of paramount importance as the bots always know where you are (though they won't fire at you until you're spotted). Z-39 has the hit points to tough out attacks and her quad torpedo launchers hit hard enough to best most bots. Yes. Z-39 is a thug. Top tier, it doesn't feel fair going up against enemy DDs. 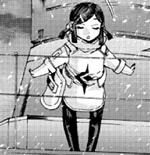 She's tough enough to be a threat to any destroyer within her matchmaking spread. Yes. The combination of stealth, Hydroacoustic Search and deep health reserves makes Z-39 a solid contender for competitive modes. The only down sides, really, are her poor striking power. No. Z-39 was built in steel and served during WW2. Her career didn't see any action against enemy surface ships, however, which kinda limits her appeal. She did survive the war and ended up serving briefly with the United States and France. Yes. She's a bully with all the tools you could ever want in a German destroyer. This is Premium Ship Review number 99. I'm pretty sure I know what number 100 will be. It's amazing to me that I'm reaching this number at all, especially given the hurdles on getting here. I have a pretty good idea on what number 100 is going to be given the number of premiums Wargaming has dropped on my lap for testing and the small windows I have to review them. The next review should be up within the next week and a half. I would like to thank my patrons on Patreon for their continued support. Their contributions help make putting time into these reviews possible. Even the small donations make a world of difference, so thanks to everyone that tosses in even a few bucks. For a list of my other reviews, please visit this thread. Destroyers and Cruisers are linked on post #2. Battleships and Aircraft Carriers are on post #3. Good ship, good review. See? Even the Mangalores agree. But what is that little red button for? PS, that AYT gif alone is worth the price of admission. Would be a +1 either way, but that Khorne finisher on the T-61 made it so much better. I'm pretty sure I know what number 100 will be. Heres to that being Kronshtadt. It'd be a nice mid-exams surprise for me to read. Appreciate the review. Been waiting to see this review. Tip of the hat to you Miss Mouse. It looks okay, but I think I'll definitely hold off for T-61 and Cossack. And the Blood Goddess has returned. Great review as always LWM. 10/10 best gif in an LWM review. Now if I just played German destroyers more... Maybe I'll put Thea in it, since she's in My Maass right now. Is that Lert guest staring in that one pic? Still love that new Avatar, you should keep it. I will. Trying to update game so I can play her. Interesting, but the lack of a historical draw kind of kills it for me. In general, to purchase anything above T6 it needs to have some very strong draw beyond simple in-game stats, due to WGs crazy pricing. Definitely worth keeping an eye on though, but not a must get for me. I'll almost certainly pick up the T-39 as it'll make a decent German DD trainer. That and although the torpedoes aren't all that, I still prefer stealth and torps over good guns. And if the T-61 comes out and is mostly what everyone thinks it is, I'll get that too. And I too think Kronshtadt will be the next out of the development shop. I've been seeing it more frequently out in the wild. I might buy the ship in the second wave, after WG re-releases it without all of the cost-inflating bundles. Yup i remember that one. 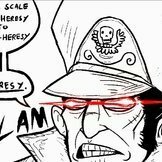 As a BB main this one rings clearly. My feels about the ship? The power jump from Tier VII DDs -> VIII DDs is immense. It's like going from a Tier VI BB and suddenly getting a Tier VIII BB.